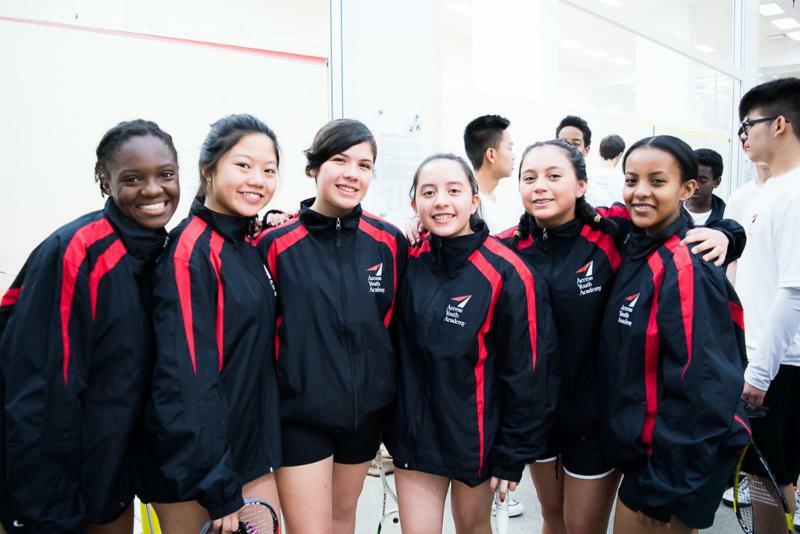 On the weekend of January 20-21, 2018 in New York City our boys and girls teams secured 2nd place in their perspective divisions at the 25th Urban Team National Championship Tournament hosted by SEA (Squash + Education Alliance). The trip started off with a red eye flight consisting of little sleep and a lot of excitement. Once in the city, the team took a walk to Grand Central Station to watch the pros play at the Tournament of Champions. Coach Yuri took this opportunity to talk the students though strategy and form using the pros as examples of what to strive for. Our girls’ team (Lynh, Djuila, Rahel, Angela, Gicel, Diana) played first on Friday afternoon winning their matches 5-0. And just like that, we were off to an amazing start. After getting a short night sleep, with the time change not working in our favor, the boys and girls had a long day of squash playing ahead of them. The boys team (Richard M., Kevin, Richard N, Quang, Kebron, Bezalel) played first. Trending with the girls’ team, they had a great start winning their matches 4-1. Their second matches of the day proved to be a tougher challenge and they lost 1-4. After a short break and a pep talk from their coach, the boys took their final match 5-0 and landed in 2nd place. Meanwhile, the girls were fighting hard on Saturday, winning their first match 3-2 but losing their next match 4-1. They had one final match on Sunday morning and were determined to stay strong. They, like the boys, finished off with a win of 5-0 to also place 2nd in their division.